Aluminum Alloy 6063, one of the most popular alloys in the 6000 series, provides good extrudability and high quality surface finish. In heat-treated condition, alloy 6063 provides good resistance to general corrosion, including resistance to stress corrosion cracking. It is easily welded or brazed by various commercial methods. Alloy 6063 is often used for electrical application in the T5, T52 and T6 conditions due to its good electrical conductivity. Aluminum Alloy 6063 offers excellent response for anodizing in its T5, T52 , T53 (“matte finish”), T54, T6 (“lusterous” finish) tempers. Alloy 6063 uses and applications are: Architectural and building applications, Extrusions, Window frames, Doors, Shop fittings, Railing and furniture's. 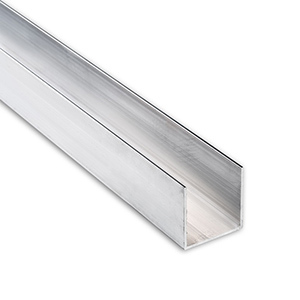 Aluminum Architectural Channel is an extruded product with sharp corners and inner right angle. Generally used where surface finish is important. 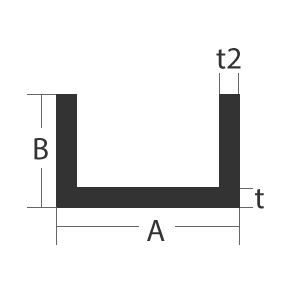 Used in applications and fabrication where light weight and corrosion resistance is important.